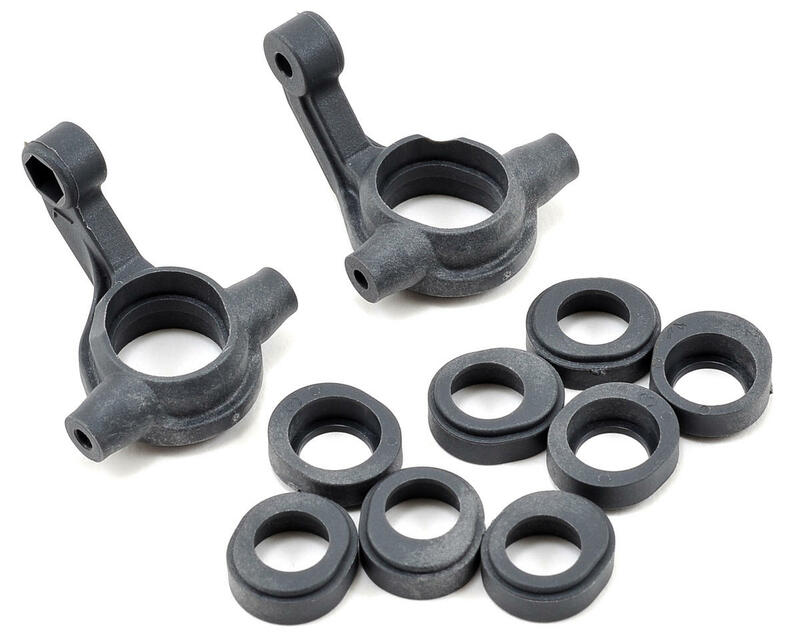 This is an optional Team Associated Factory Team "Hard" Steering Block Set. 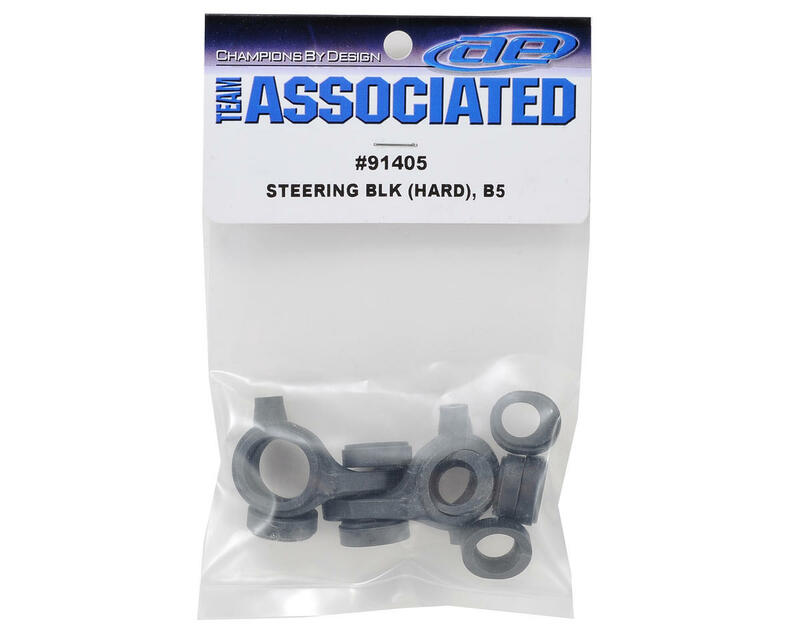 Package includes left and right side hard compound steering blocks, as well as four 2/4 hard compound trailing axle inserts and four 3 hard compound trailing axle inserts. The hard composite material offers both higher stiffness and added durability. It also allows for greater race precision on high traction surfaces or in higher ambient temperatures. Great product, no issues for ~500km on carpet. Nice steering, durable and cheap. Reduces flex in the front end for better steering control. Great product!